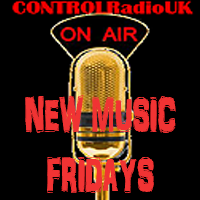 Here at CONTROLRadioUK we're always on the look-out for music be it for the playlist, or just because we think the tracks are pretty neat. And on New Music Friday, we're bringing you a select choice of the freshest tracks released this week. John Newman is well and truly back. It's been a long two years since he last released a solo track and his second album Tribute was released all the way back in 2015. Thankfully Fire In Me was more than worth the wait. It's an absolutely fantastic song from start to finish, and accompanied by an equally fantastic music video. The tropical synth beat that runs throughout the song is beautiful, the song's message is one that will resonate with a lot of people and John Newman's vocal shines. Stop Me From Falling is the second track to be released from Kylie Minogue's new album. There's been a mixed reaction to the new album due to the Country feel, which some think is a departure from her usual sound. I'm all for Artists exploring the depth of their creativity, as too much of the same can get quite tedious to listen to. Stop Me From Falling is a lovely ballad. Dare I even go as far as to say I like this song better than Dancing? Kylie's voice goes really well with the music which never seeks to overpower her, and the song has a nice story to it. Golden is due out on the 6th April and you can pre-order it now. I tend to find myself somewhat indifferent to Betty Who. Her music is nice enough on the ear, but I always feel as if it's holding back. Look Back to an extent still falls into that category, but it has enough about itself to be interesting. I absolutely love the drop, which really fits with the attitude of the song. The lyrics are a little generic in nature, but again fit with the attitude of the song and therefore it works and if Look Back isn't routed to your playlist for the next month, you need to seriously rethink your choices. I absolutely love this song. Alison Wonderland is an Artist I've come across in passing quite often and I really dig her music and videos. It's a bit different in places to the mainstream and really works. No might just be the best song I've heard from her so far. It's got the variety of music genres that I adore, excellent drop down and great lyrics. She also released another song a few weeks ago now called Church which is just as excellent. Finishing off this weeks New Music Friday with Ride or Die by The Knocks featuring Foster The People. It's a really nice chilled out song, perfect for the lazy Sunday's. I haven't really heard of The Knocks before, but that is most definitely changing.